To maintain the beauty of your granite, marble and other natural stones for years to come, just refer to the following tips. Clean your stone surface with a few drops of neutral cleaner, stone soap, or mild dishwashing liquid and warm water. Use a soft, clean rag to clean natural stone. Be sure to rinse after washing with the soap solution and dry with a soft, clean cloth. Take care to not use too much soap, as this may leave a film and cause streaks. Refrain from using products that contain lemon, vinegar or other acids to prevent scratches on the natural stone. Avoid using scouring powders or creams which may scratch the surface of natural stone due to their harsh abrasives. For natural stone in bathrooms – To minimize soap scum, a squeegee should be used after use of natural stone bathroom surfaces. If a soap-scum remover is used, it should be non-acidic. 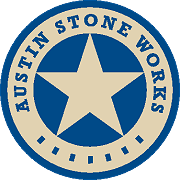 All tops installed by Austin Stone Works are sealed with a penetrating sealer. 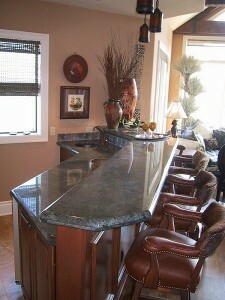 Posted in Natural Stone and tagged caring for stone, stone countertop maintenance, stone countertops, stone flooring.